Morgan was raised on a sheep and cropping farm near Griffith, NSW. He completed his studies at the University of Sydney in 2011, graduating with a Bachelor of Law (Honours) and Bachelor of Commerce. Morgan began his law career as a paralegal at a Sydney law firm in 2008. 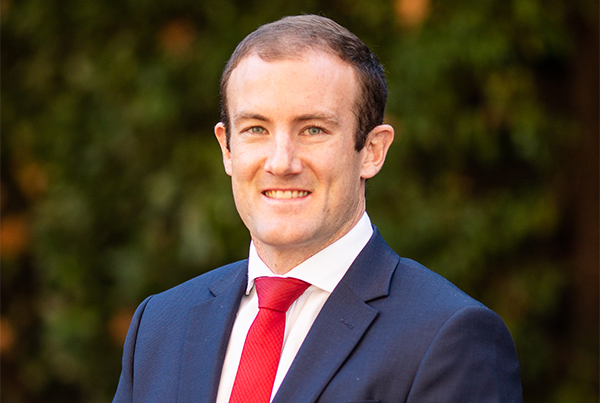 After completing university, Morgan moved to Wagga Wagga and joined a local firm where he gained a broad understanding of property and commercial law. Morgan joined Walsh & Blair Lawyers in 2013. He specialises in criminal and traffic law. He has been involved in hundreds of hearings, sentence matters, bail applications, appeals and AVO matters in the Local, District and Supreme Courts of NSW. The qualifications, knowledge and advocacy experience that Morgan possesses, means that you can be confident of dependable and practical advice on how your case should be dealt with.